"In the fifteen years I’ve known DeVon, he’s lived his life the same way he makes his movies: with commitment, humility, and a work ethic that demands respect. I’m honored to have been a part of his journey from stellar intern to studio vice president—his story is one to be shared with anyone chasing a dream." 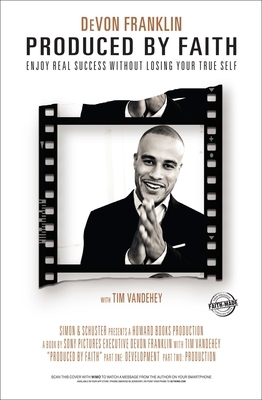 "After reading DeVon Franklin's book, Produced by Faith, I thought it would have been a great guide for my early life, but it's never too late for a book like this. Produced by Faith is a wonderful gift from an insightful, inspiring man."